Do you earn to learn the art of cake decorating but don't know where to start? Cakes are one of the most popular trends at the moment and who wouldn't like to be able to present a gorgeous cake at our child's birthday party or a friend's kitchen tea and proudly exclaim "I made it myself"? Luckily for us all, there are a number of cake decorating schools located around Sydney where you can learn all of the skills needed. Whether you are a complete novice or are looking to update your knowledge and learn a new technique or two, there is sure to be a location near you. Cakes to Inspire specialises in teaching simple techniques which produce maximum effects. Classes are offered in Turramurra and are taught by an experience Food Technology teacher in a home studio. Each class runs over 4 hours. At Paris International Cooking School at Stanmore you will learn the art of decorating and covering cakes for all occasions. 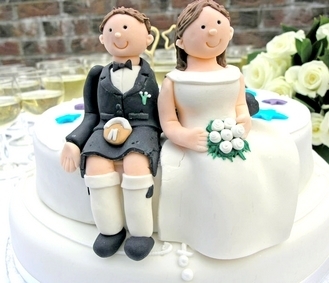 Some of the skills taught include piping work, moulding flowers, covering cakes and the art of decorating. In addition to their standard 8-week ongoing classes for Beginners, Intermediate and Advanced cake decorators, they also have one-off 5 hour workshops. Planet Cake is located in Balmain and offers day and evening classes for beginners to advanced and specialises in teaching couture, contemporary designs with updated cake decorating techniques taught by artists who create cakes for celebrities and VIP's. In Castle Hill and Campbelltown you will find Cake Decorating Central. There you will find highly qualified staff who have a passion for cake decorating with courses teaching single and double layer celebration cakes in modern designs. wow! 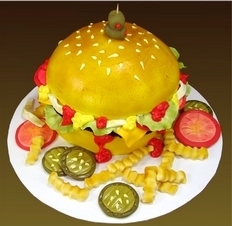 that burger cake looks amazing - now if I could find a place like this in Adelaide.....any tips from A-town people?